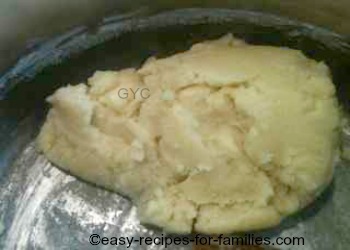 On this page, we'll learn to make the cookie dough for this easy Christmas cookie recipe. 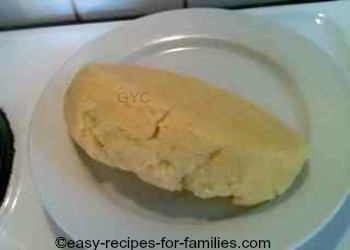 Ok, here's the super easy method of making a shortbread cookie. If you've explored my hundreds of recipes, you'll have figured that I don't believe in wasting any time at all in the kitchen. Pop the butter in a roomy saucepan. Yep, you read this right - a saucepan. Turn the heat to moderately high and tip in all the sugar. Stir to combine. Turn off the heat as soon as the butter melts. Take care not to burn the mixture. But keep on stirring even off the heat. 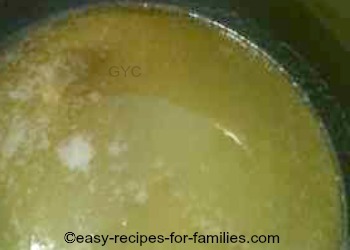 The mixture which is quite oily will turn thick and well combined. That's when it's ready. 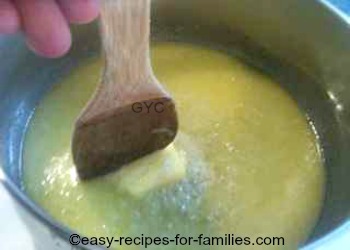 Add in the beaten egg and stir to combine. Here it is, the cookie mixture is ready for the next step. Now, if you find, for whatever reason, the cookie dough is not clumping together and is loose, it means there's insufficient liquid. 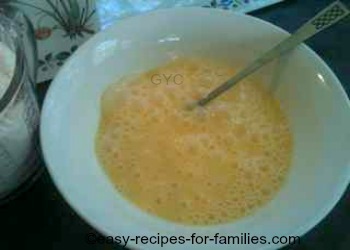 Add a little oil or 1/2 a beaten egg and combine. Do this just a little at a time. And if the opposite occurs, that is, if you find that the cookie mixture is just too runny with oil, add a little more plain flour. Now you want the shortbread cookie mixture to be short, meaning that there's lots of lovely butter, but not if it too oily. Just a little at a time and combine to get to the right texture. 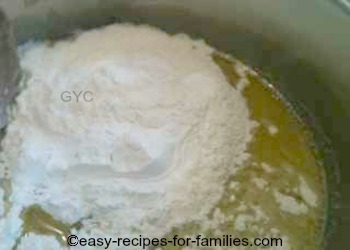 Just look at the picture - that's how the dough just naturally comes together. 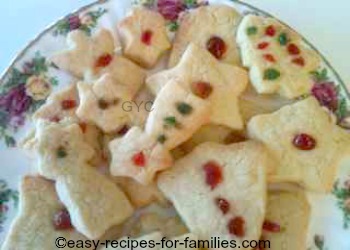 Leave Easy Christmas Cookie Recipe to browse through hundreds of luscious easy recipes for desserts, cakes and treats!